When it comes to the sale of your home, it is the little things that can go a long way to increasing the price you will receive. 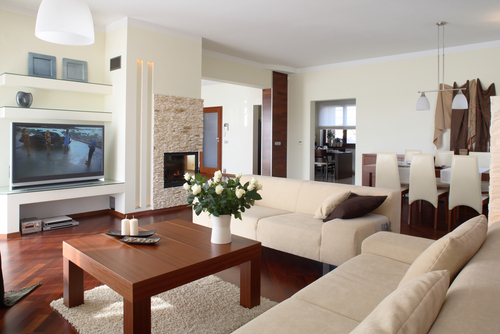 Most buyers respond positively to a clean, clutter-free home that is in good condition. The more effort you put into the appearance of your home, the more likely you will receive greater activity and multiple offers. Over time, we become accustomed to our homes, often overlooking the eyesores and the list of honey-dos that were never completed. Clutter accumulates. We think nothing of the low light and the pale and cracked paint. But someone who is looking for a new place to call home, is considering EVERY detail!! Below are numerous smaller, inexpensive things you can do to greatly improve the showing of your home. With a little elbow grease, and a little creativity, it is easy to keep your home in prime showing condition. Prior to the listing, have a garage sale. The rule is "less is better." Clean. Organize. Discard. Donate. Pack all that you can. Clean out closets and storage areas. Donate old clothes and furniture to local charities. This will create a sense of greater space -- and mean less to move. What about all those books and magazines that you don't want? Perhaps you can donate them to a local library, hospital or charity. Set the stage. Take full advantage of the areas in your home. Set the table with your best china. Create warmth and coziness in the living room, with a crackling fire. Put a pair of wine glasses and a vase of flowers on the coffee table in front of the fire. Eliminate the odors. Buyers respond less favorably to smells. Use cleansers of all kinds to make the home smell fresh, from carpet freshener to potpourri. Deodorize your cat’s litter box / scoop litter daily. Put cedar chips inside the closets. Use the sense of smell to your advantage by having fresh-baked cookies or other baked goods on the kitchen table. People have both allergies and concerns when it comes to animals. If you have a pet, make arrangements to have it elsewhere when a home is being shown and remove all signs of having a pet. Create space. Ensure that all doors, cabinets and drawers open all the way without bumping into anything or sticking. Clean out the entry closet. Move oversized furniture to a storage facility or garage. Entrances to all rooms should have an open flow. Make the most of your views. Put a screen or a basket of flowers in front of a fireplace if not in use. Make sure there is enough room for visitors to view out the windows. Remove any clutter around window areas. Clean windows. Create counter space. Store away extra small kitchen appliances. Put away dish racks, soap dishes and other clutter. Remove everything, like magnets and photos, from the refrigerator. Aim for netural decor. De-personalize your teenager's room, the family room or other areas by removing wild posters or items that could be construed as offensive. Increase the wattage. Pay attention to the laundry room, kitchen and bathrooms. Prior to showing, turn on the lights in every room. De-Personalize. Remove family photos and unique personal items such as awards, hobbies, etc. throughout your home. This will make it easier for someone else to imagine themselves living there. After you have completed these inexpensive items, stand back. Ask a friend to view your home. What do you feel? Is it warm and inviting? Does it look comfortable and spacious? Is the aroma pleasant? When you create a positive, warm environment it is likely your buyer will feel the same way. If you would like our opinion of your home's condition prior to selling, contact The Jay Magnussen Real Estate Team for a free, no obligation home evaluation.